Who is eligible to be a HSS Fellow? Students who have received an invitation to join the HSS Fellows are those with strong academic abilities who College of Charleston Admissions believe can make a special impact on our campus through this experience. HSS Fellows are selected on academic merit, interest in a Humanities and Social Sciences course of study, and have indicated that a cohort learning experience is important to their undergraduate experience. Why should I do this program? As an HSS Fellow you will be provided opportunities within your first year reserved for a cohort of high achieving student learners. 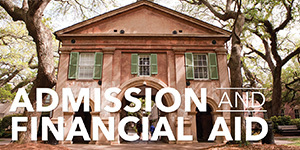 You will be provided a faculty mentor contact who can help you navigate the College of Charleston academic environment and support your preparation for a unique four year college experience. A dedicated academic advisor will support your transition into CofC, throughout the spring semester in Switzerland, and then back on our campus. You will study abroad your first year, an opportunity rarely available for any first year student, taking advantage of an early international component to your post-secondary education. 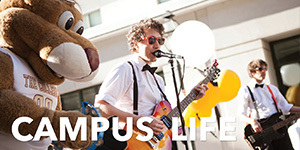 Upon completion of your unique first year experience and returning to the CofC campus as a second year student you will be ready to step into additional learning opportunities such as internships, faculty-led research, and peer facilitating roles. HSS Fellows will complete their English 110 and First Year Experience requirements during their fall semester. In addition to these two required classes HSS Fellows will select three more academic choices during their summer orientation session with the help of their dedicated academic advisor. There will be five required cohort events throughout the fall semester which are designed to prepare the HSS Fellows for their study abroad experience in the spring semester at Franklin University Switzerland. These events are led by two faculty mentors and will revolve around Switzerland’s place in European history and politics. HSS Fellows will then depart as a cohort in early January for Lugano to complete the program on the FUS campus. What type of student is a HSS Fellow? Those interested in becoming a HSS Fellow have a strong academic background and are looking for a dedicated international experience during their undergraduate period. HSS Fellows are intrigued about faculty mentorship, peer-to-peer intellectual and social relationships, and future research opportunities at the College of Charleston. 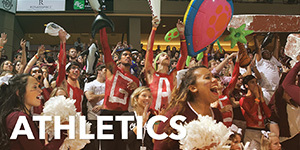 What does the fall semester look like on the College of Charleston campus? HSS Fellows will attend New Student Orientation during the summer prior to their fall semester on campus. They will select academic courses specific to the first year and complete their English 110 and First Year Experience requirements. They will live on the College of Charleston campus. 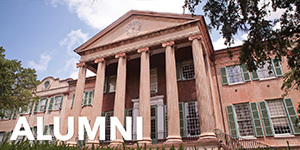 Dedicated CofC faculty and staff will support and assist the HSS Fellows as they ready for their time in Switzerland. What does the spring semester abroad look like on the Franklin University Switzerland campus? In the spring HSS Fellows will meet in Atlanta to complete the Pre-Departure Orientation with College of Charleston staff and then travel together to Franklin University Switzerland. Students will take part in a Franklin University Switzerland new student orientation which will ready them for their spring semester on the FUS campus. They will be supported by a student study abroad mentor – an upper-division CofC peer facilitator who will take classes at FUS and plan specific programs for HSS Fellows. During the spring term at FUS all HSS Fellows will complete the academic travel component. This short term travel program is a unique and distinctive element of the FUS curriculum. What is Academic Travel at Franklin University Switzerland? Academic Travel represents the single most distinctive element of the Franklin curriculum, in which travel is used as an experiential learning tool completely integrated into a series of course offerings in disciplines applicable to all majors. It is an integral part of the curriculum at Franklin University Switzerland. 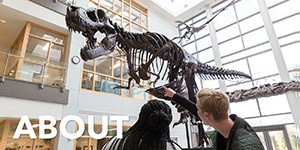 Every semester, Franklin students embark on extended visits to study on location, as part of an Academic Travel course. 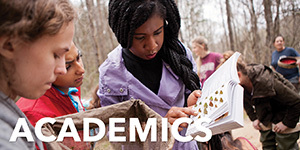 Each class is taught by a faculty member in a field related to the academic expertise of the individual professor and the students travel to a location with which the professor has a particular academic interest or personal connection. All students, including semester and year-abroad students, are required to participate in Academic Travel, which is included in each semester's tuition.